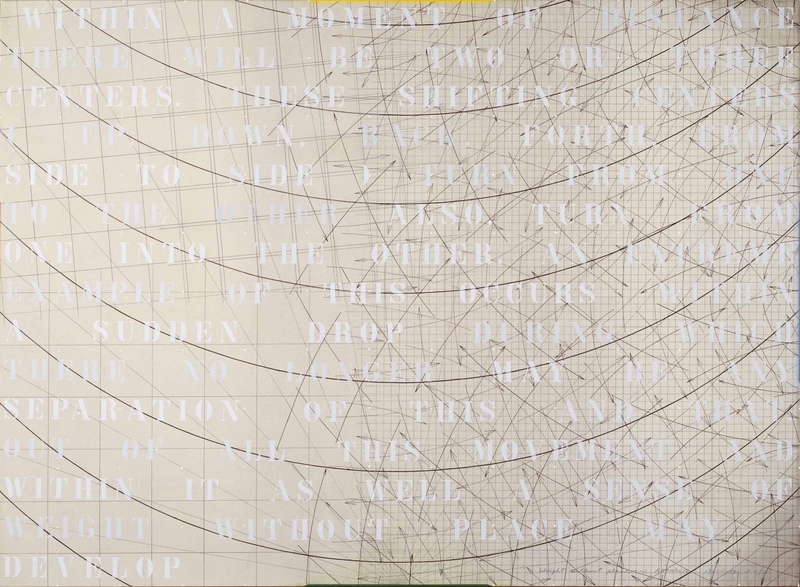 acrylic on canvas, 100" x 272"
acrylic on canvas, 100" x 136"
acrylic on canvas with painted frame, 82" x 58"
oil on canvas and brass with painted frame, 86" x 74"
Throughout the 1980s, Arakawa continued to address both the physical and conceptual relationship of the viewer to a painting. 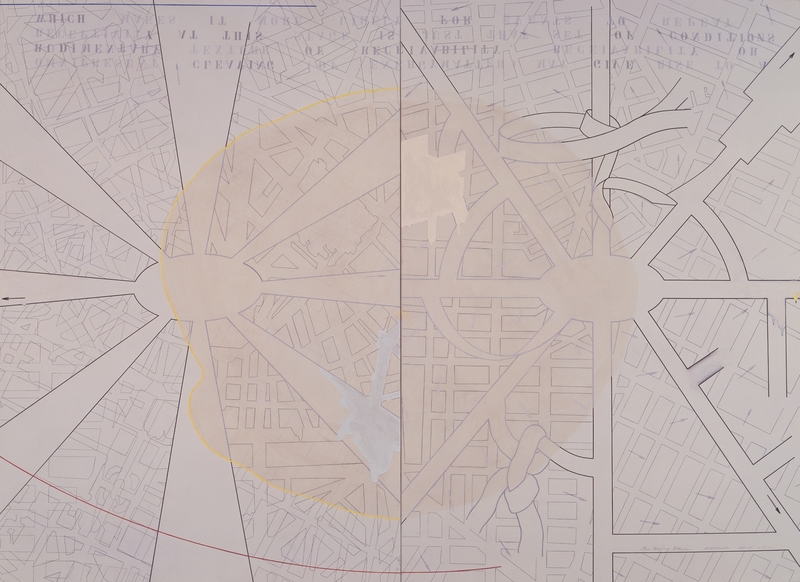 Just as the paintings had become physically expansive towards the end of the 1970s, the works now became monumental, at times almost reaching twelve feet high and often three or four panels wide; across the surface of these massive canvases, he used directional arrows reminiscent of wind currents twisted over street maps and texts. 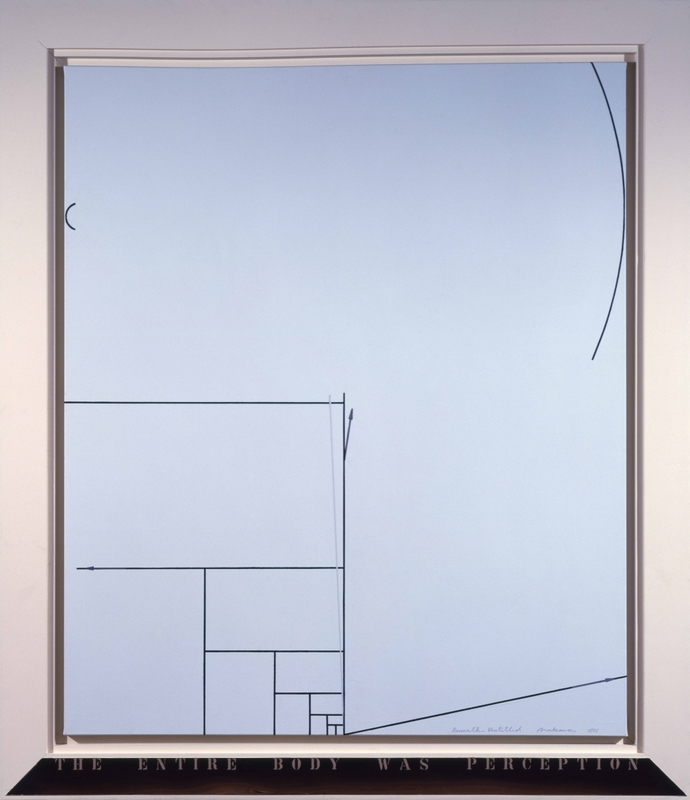 Shifting in scale to smaller-sized paintings in the mid-1980s, Arakawa introduced a heavy white frame to emphasize a surface that incorporated marks for measuring and containing, and inverted text (partially obscured by layers of paint), to further focusing on the act of perceiving. 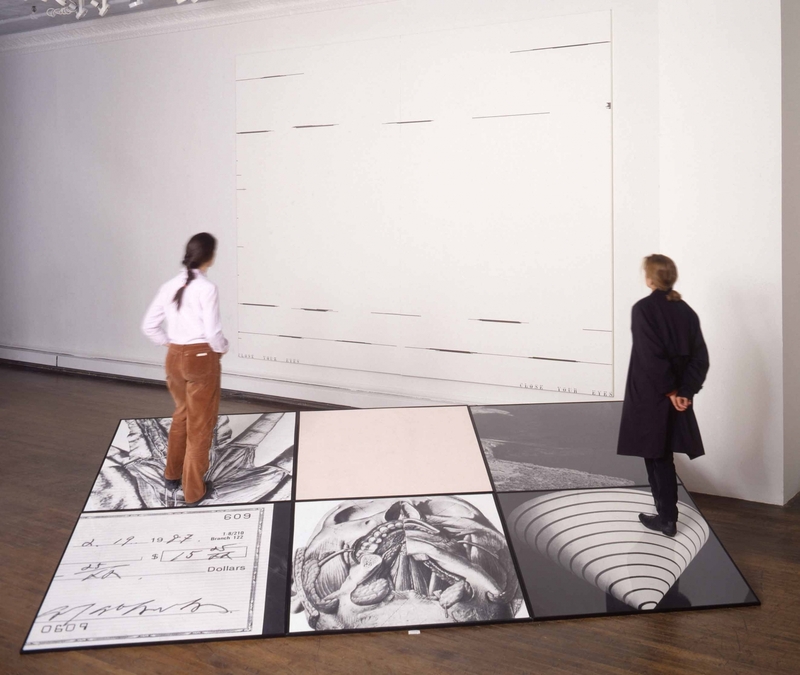 Later in the decade, Arakawa re-engaged with the physical body by introducing photographic floor panels as part of the work, which the viewer was invited to stand upon in order to view large-scale multi-paneled canvases. 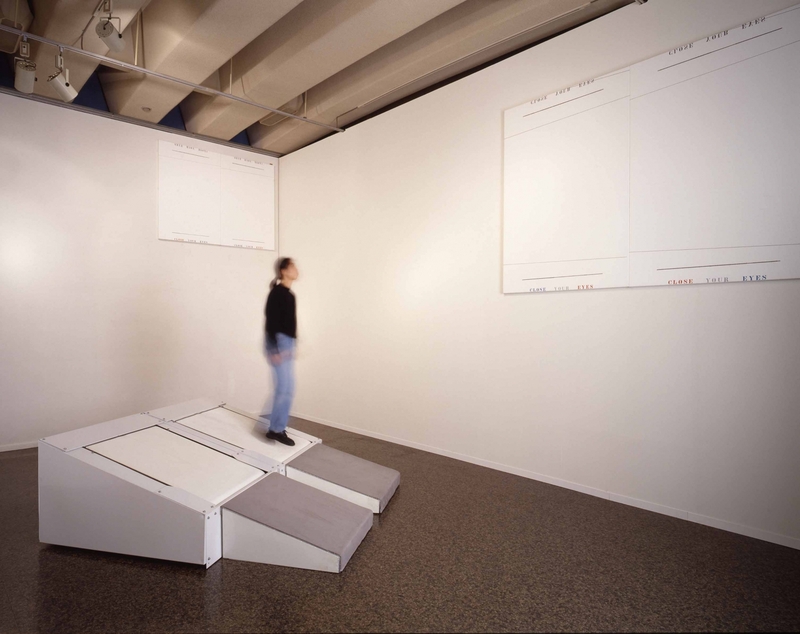 In this group of works, as part of his retrospective in Japan, were two room-sized installations of paintings with sloping moving walkways that required the viewer to be in continual motion. 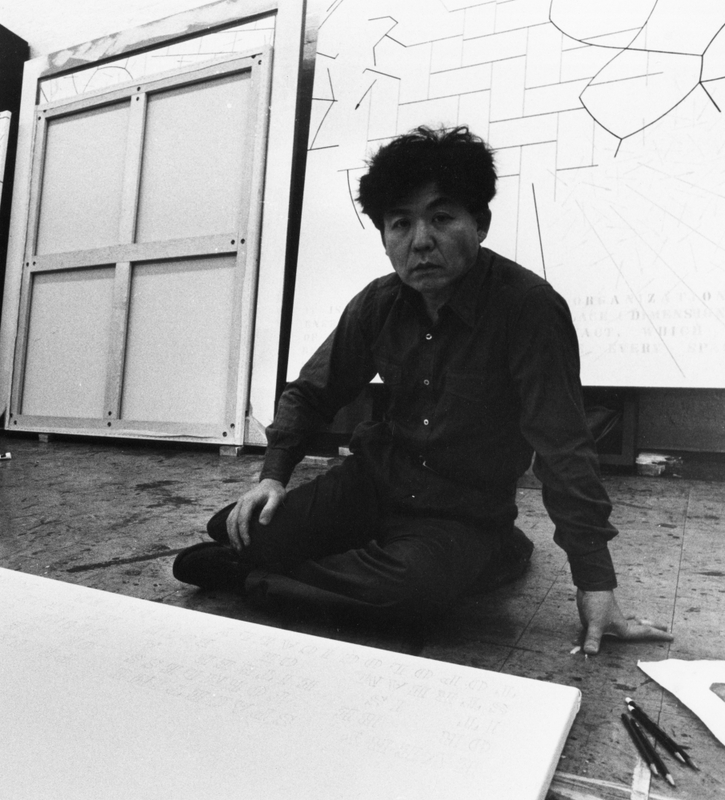 In Europe, Arakawa had solo museum exhibitions at Stadtische Galerie im Lenbachhaus, Munichand in 1981 and Padiglione d'Arte Contemporanea, Milan in 1984. 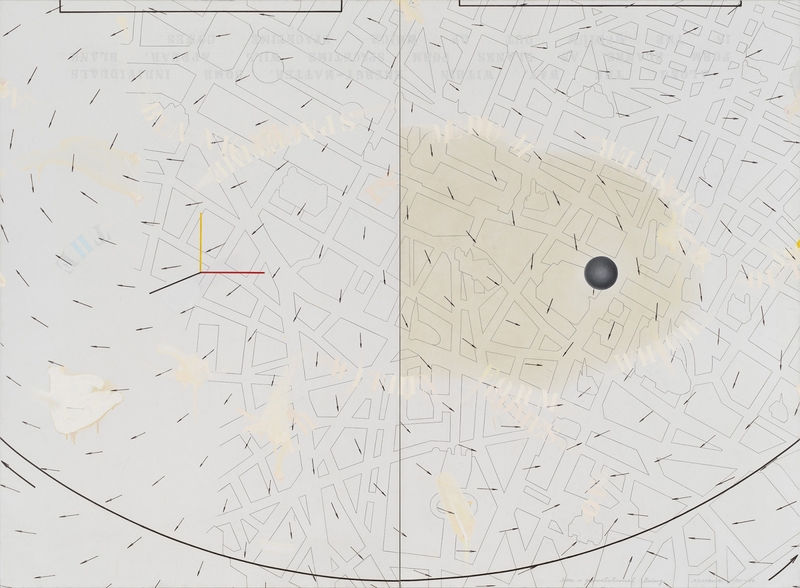 In 1991, his retrospective, Constructing the Perceiver – Arakawa: Experimental Works, opened at the National Museum of Art in Tokyo and later travelled to The National Museum of Art, Kyoto and The Matsuzukaya Art Museum, Nagoya. 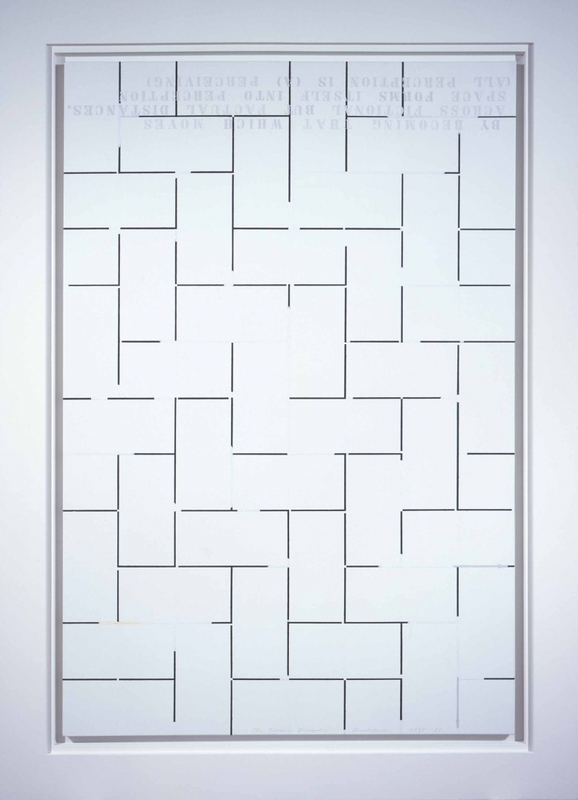 He was awarded the Chevalier des Arts et Lettres by the French Government in 1986, a John Simon Guggenheim Fellowship for 1987-88 and the Belgian Critic’s Prize for 1988-89. In Japan he was awarded both the Shiju Housho – Medal with Purple Ribbon and the Nihon Gendai Geijutsu Shinko Sho – award for innovation in Japanese contemporary art from Japan Arts Foundation in 2003, and the Order of the Rising Sun, Gold Rays with Rosette in 2010. 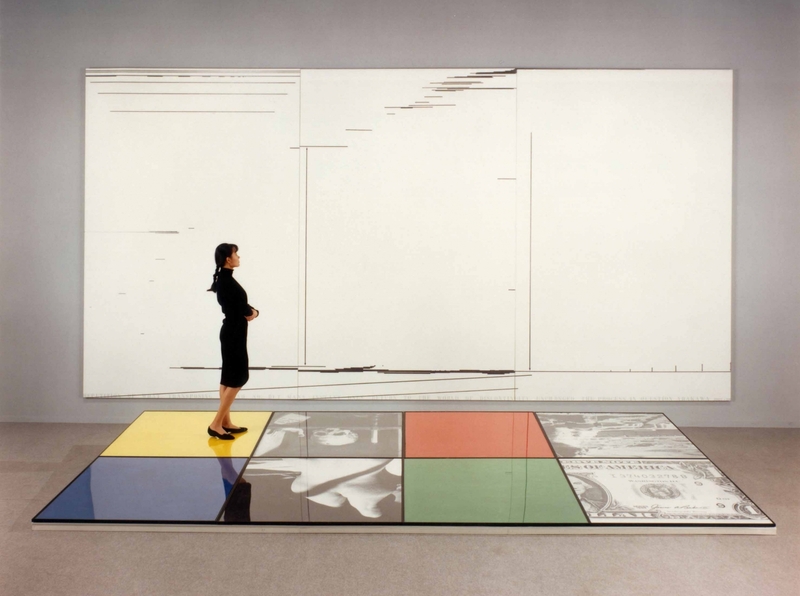 In 1990, Ronald Feldman Fine Arts, New York staged Arakawa and Madeline Gins’ exhibition Building Sensoriums 1973-1990 that gave further visibility to the philosophies they had developed together since The Mechanism of Meaning and marked Arakawa’s shift in focus to exploring approaches to architecture and achieving permanent built structures.